At the law firm of Clarence Williams, III, Attorney at Law, we have been serving the people of Warner Robins and clients across Georgia in legal matters ranging from criminal defense to family law. Whether facing firearms offenses, drug charges, DUI-related license suspension or a divorce, we possess the experience to help clients pursue the best possible results in their cases. With invaluable experience trying a host of cases, we understand what is at stake when a client faces a criminal charge. In all types of criminal allegations, we thoroughly prepare each case to present an aggressive defense. By keeping clients informed throughout the process of their case — while offering candid and practical legal counsel — we put our efforts toward achieving a favorable result. Though a case’s outcome is uncertain, our criminal defense lawyer will exhaust all possible avenues toward achieving the best possible resolution in the form of an acquittal, plea agreement or dismissal of the charges. 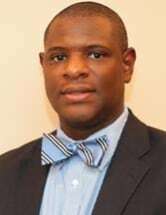 Representing clients in Warner Robins, Houston County and throughout Georgia, the firm of Clarence Williams, III, Attorney at Law, knows both the laws and the people of the area courts. The firm’s founder, Clarence Williams III, has practiced law since 2001. Early in his career, he worked as an Assistant District Attorney in Houston County, where he prosecuted a range of felony cases. Having worked both sides of the aisle as a prosecutor and a defender, Mr. Williams’s trial experience is a valuable asset in assisting his clients through their legal matters. We offer free initial consultations to prospective clients. Our office will assist you from the moment you contact our office and until your case is resolved. Providing tested experience and tough representation, we offer the help clients need when facing pressing criminal accusations and family law cases.